Life is unpredictable. That is why, as an employer, offering a flexible time off policy is a powerful way to attract and retain talent that has their pick of professional destinations. Developing a versatile time off policy allows employees to better balance responsibilities in and out of the office. It also boosts productivity in the workplace: a recent study found that 89 percent of surveyed employees considered paid time off (PTO) to be an important aspect of job satisfaction. Many employees also look at employee benefits like PTO packages when evaluating a new position. Learn more about current business trends in time off policies and how business owners are developing attractive employee benefits packages to keep employees happy and productive, and attract new and valuable talent. As more and more businesses step up their employee benefits packages, workers are being rewarded with more personal time off. Today’s time off policy trends range from several days of paid vacation a year to unlimited vacation policies that actually encourage employees to take time off. The trend towards more flexible time off policies has made a significant difference in employee morale. However, the most difficult aspect is determining how much time off your employees need to be happy and productive. Personal Days: Day of leave for reasons other than vacation or illness, taken at the employee’s discretion. 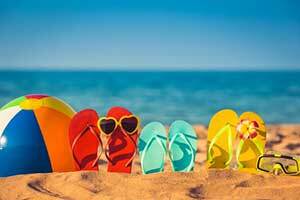 Holidays: Paid holidays allow employees to take time off from work on a publicly recognized holiday. Floating Holidays: This type of holiday is not uniformly recognized by employers (such as a birthday) and is selected by the employee. Bereavement: Also known as sympathy leave, this absence may be granted when a death occurs in an employee’s immediate family. Comp Time: Compensatory time is a type of time off given to eligible employees who request time in lieu of cash payment, overtime, or holiday work time. Wellness Days: As a component of an overall wellness strategy, some employers offer wellness day credits in exchange for participating in health-related activities. Remote Days: Remote working occurs when an employer agrees to allow an employee to work from a non-office location certain days a week. Leave of Absence: A leave of absence may be granted in certain situations and depending on your company’s policy, may be paid time off. Paid Time Off: Some companies offer PTO which combines vacation time and sick leave. Time off policies look different from one organization to the next and can differ based on the size of the company, number of employees, and the type of profession. However, no matter the company’s size or industry, a time off policy must be fair amongst employees and employers. First of all, it’s important not to use judgement when deciphering how time off should be used. Some employees may use personal time to attend educational classes or seminars, while others may use it to lounge by the pool. How an employee uses their personal days are up to them. Next, you’ll want to determine how many days off an employee will receive. In a survey consisting of 259 small business owners, it was found that more than three-quarters of respondents said they offer their employees 10 days or less of paid time off. There are multiple ways to set up time off policies, but most fall into a few select groups. You may decide to give your employees a fixed number of vacation days at the beginning of the work year. Another option is to provide a certain number of vacation days each year and any unused days may be rolled over to the next year. Some businesses choose to provide unlimited vacation days. Having a flexible time off policy can positively impact productivity and motivation in the workplace. Some employees are known to stockpile their time off days as a type of emergency backup plan in case they are let go. This can result in too much paid time off on the books. To avoid this issue, many employers are switching to flexible or unlimited time off policies. This approach to time off gives employees more peace of mind knowing that they won’t run out of time, resulting in a happier and more motivated employee. Many employers also find that offering employee benefits with flexible time off policies help give them the upper hand when attracting new talent. Many employees, especially millennials, put aspects like flexible time off and a comfortable office environment over other important benefits like insurance and pay. It’s important to create a clear time off policy so that employees are not confused or misunderstand their rights to time off work. Having a clearly-defined policy will also alleviate concerns or questions employees may have while also showing your company’s professionalism. When developing your policy, ask yourself the following questions: Who is eligible for time off? How does time off accumulate for employees? How much time off is provided? Can unused time off be carried over to the following year? How can an employee request time off? Is there a waiting period before new employees can request time off? If you make the decision to offer unlimited time off, it’s important that you have a trusting relationship with your employees and that you properly track each employee’s time taken. Modern employees have grown accustomed to increased flexibility in the workplace. Most employees appreciate the freedom of time off with options such as sick days, wellness days, and PTO. Flexibility can also be beneficial for employers when scheduling time off for employees. Allowing employees to be responsible for managing their own time off promotes open communication and teamwork through collaboration. If you need assistance developing an attractive time off policy, the experts at BBG can help. Contact our office today to request a consultation.